Be the architect of your own empowerment with knowledge about the business through training with Trévo President CEO , Mark Stevens. Before founding Trévo , Mark had already become one of the best network marketing experts in the US after creating an integrated network of thousands of people , and is eager to share how you can achieve the same level of success . 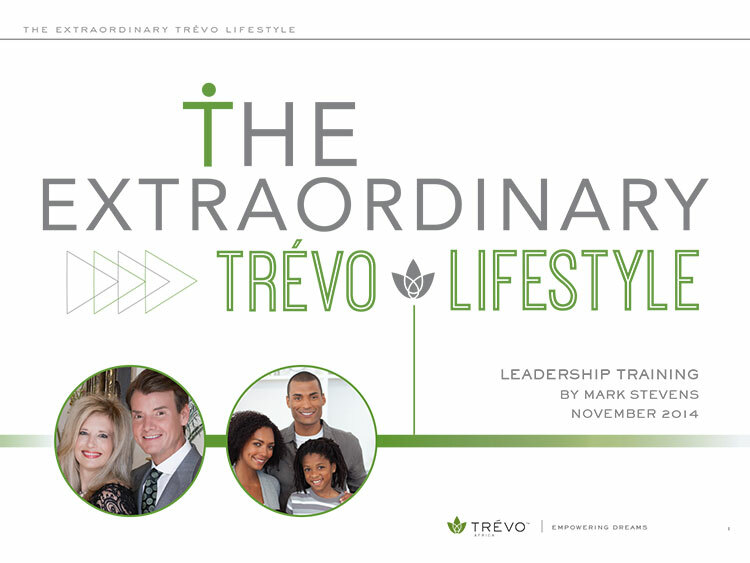 Since the launch of your business to creating a winning team and the strong expansion in these presentations covering everything you need to know about how to achieve Trévo’s extraordinary lifestyle. Slides for Trévo trainings are available. Just click the button to download the PDF file to your computer.